Hello everyone! Hope you are having fun, partying and enjoying December. Only a few days left for 2018 and I am super excited about it. 2017 was a great year for me, got to learn so much from the ups and downs I faced the entire year. Today's post is all about personal care and reviews of skin care treatments. I was suffering from skin issues for a while and it made me feel so low. I never had any acne issues or any blemishes on my skin before. We generally ignore our health due to our constant busy schedule and then end up with some or other health issues. Maybe the cause of my skin issues maybe excessive stress or bad eating habits. I was quite tensed about this acne issues and tried hell lot of products to get rid of it, but nothing worked. 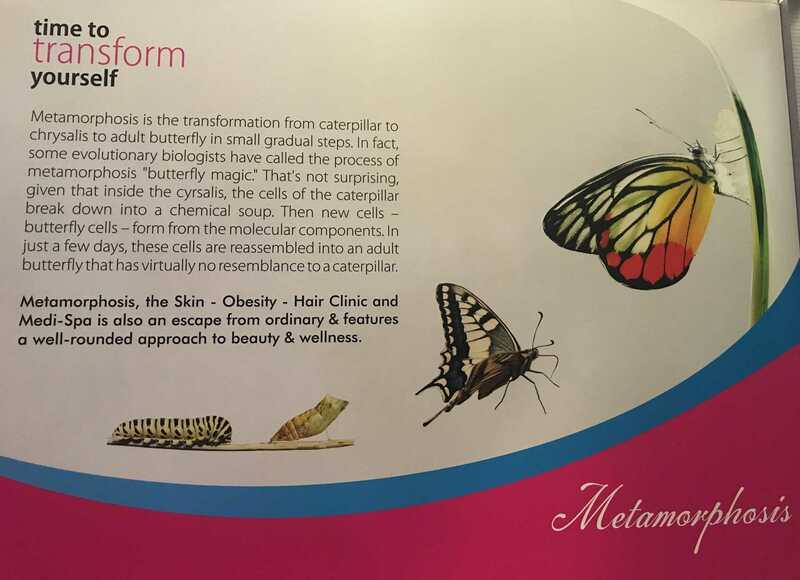 I got this opportunity to visit Metamorphosis clinic and try out their services. I was not sure whether their treatment will work for my skin. I met Dr. Sheetal who was very kind and she politely explained me the benefits of various skin treatments. As I had dry skin along with acne on my cheeks, she suggested me Oxygen Infusion Therapy also called Oxy facial.